Vatican News sites, Ucan, AsiaNews.it all blocked. Yet the Chinese constitution defends religious freedom. The considerations of a priest, whose personal blog has been taken down. 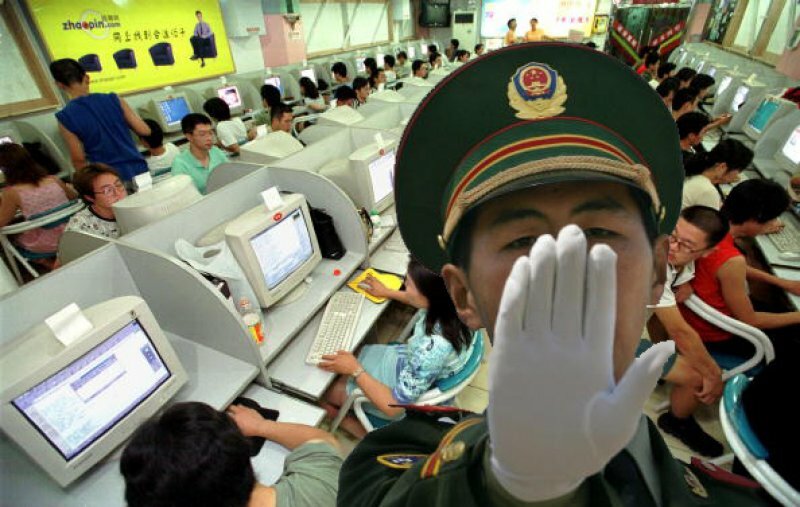 Beijing (AsiaNews) - "Once we could consult Vatican News, ucanews.com, AsiaNews.it and others [websites]; now they are blocked": This is the bitter observation of a Chinese priest, Fr. Peter, after the government's decision to prohibit all websites of evangelization. In reality AsiaNews.it in Chinese has been blocked for several years, although members of the Party often consult it. But the new rules on online evangelization have also erased the priest's blog. Peter seems to suggest that censorship is a traditional element in China: even Confucius stopped writing when a unicorn was killed. That is to say: the violence of censorship reduces hope and gives space to negativity. Guan Moye, a native of Gaomi, Shandong province, eastern China, writes with his pseudonym Mo Yan (literally meaning ‘not to say’). Ironically, he has written many literary works, and above all, he won the Nobel Prize in Literature in 2012. Confucius, a great sage and educator of ancient China, had written classical literatures and traveled around the country to promote his thoughts and doctrines. Once a unicorn（or kirin, were a kind of mascot, like dragon） appeared, but was hunted down, thereafter, Confucius wrote no more. Regarding myself, I do not know whom I have angered with my writings or my images. The gallery in my Sina blog was sealed for no reason. I feel upset and helpless. Confucius halted to write because some people had ruined the ecological environment. People did not spare a good-hearted unicorn, but had to hunt it down. From then on, Confucius stopped his writing, and was depressed and grievous until he died. Today, 2,500 years after Confucius, civilization should have made substantial progress. Still, people cannot speak and tell others what they want to say. Facing injustices, inequality and un-civilized acts, people remain silent. When I was young, I heard a saying "to remain silent in the face of injustice is a way of crying out for injustice.” Now I do not remember who created this proverb, and I have become a person who “faces injustice but chooses to remain silent." When I first succeeding in the registration of a blog in China, I felt happy about it, because I now had a space of my own to express my views. Although there were readers who did not agree to what I said, and even criticized me, but anyway it was a world of diverse opinions. This was so-called "hundred flowers and hundreds of schools of thought", an embodiment of social progress and prosperity[i]. If the media, the network, and the cultural carriers are expressed in a unified manner, what kind of form will appear in the realms of culture, belief and religion? I really cannot imagine. I once asked an apostate who gave up his faith during the Cultural Revolution (1966-1976) and had no expression of religious belief, “Do you still have faith?”. He was silent for a long time, and said: "Faith is a deep thing in the human heart." Such an answer was very perplexed. In today's society, political enlightenment, economic prosperity, and the Constitution also clearly express "freedom of belief," and does such freedom also become a "thing in the soul"? The Vatican News, the ucanews.com, AsiaNews and others that were often viewed no longer can be opened. News about the Catholic Church can only be viewed from the Mainland Chinese Catholic websites and Faith Press. Although we have eyes, now visually impaired, we cannot fully understand the specific situation and information of the universal Church and the local Churches. [i] "One hundred flowers and one hundred schools of thought" (more precisely: Let 100 flowers blossom and 100 schools of thought contend) was a campaign launched by Mao Zedong in 1956, with which he invited the intellectuals to express themselves freely and to discuss starting from different visions , compared to those of the Chinese Communist Party. But after this period, Mao increased his persecution against intellectuals, and precisely against those who had expressed themselves with visions other than his own.